“Disney Store prepares to open more than 130 stores nationwide at midnight on “Magical Friday” Nov. 26 (Black Friday). Guests who arrive between midnight and 10 a.m. can take advantage of 20 percent off all items and “Magical Friday” deals as low as $5. We will also update if we know what CARS items might be offered on Cyber Monday. 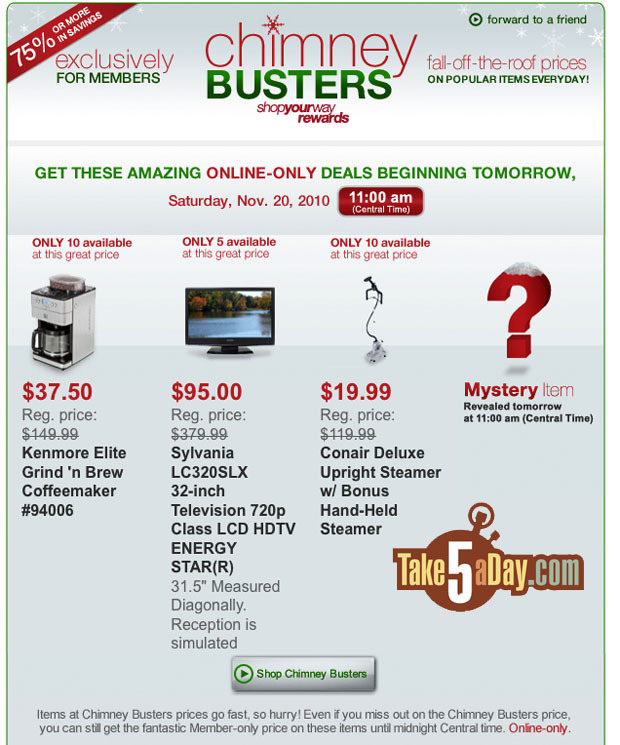 KM is offering daily “chimney” buster deals … the one starting in a couple hours is actually interesting … if you’re the type who likes a backup TV, can’t beat $95 for 32-inches … or that’s a nice discount on a steamer … though obviously with the low nationwide quantities, it will depend on your computer & internet speed to get in and order the thing. I think you have to be a rewards member so sign up first! If you’re going to use eBillMe, save 5% with this LINK and the A5EBILLME Coupon Code for Black Friday and Cyber Monday deals. (click on the banner for a direct link). 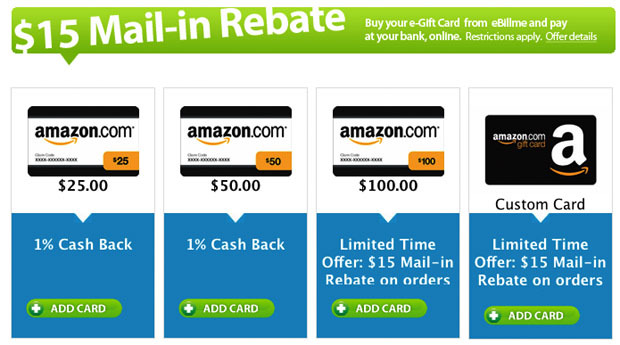 Or like these Amazon deals – up to 15% back on gift cards which you can redeem yourself to save 15% on holiday purchases. Nice. 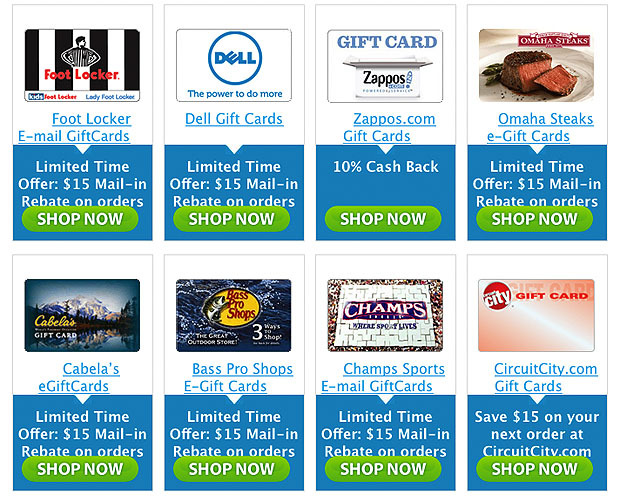 These are our T5 affiliate links so we make a few bucks when you shop through these links. It doesn’t cost you any extra but we make a few bucks so thanks for saving the economy, the world and T5! Thanks! What was the Mystery item? This chimney Buster for 5 items nationwide sold in less than 1/2 second. “5 available at this price” — Does that mean 5 per store, or 5 nationwide? (MET: did u email this in on your free iPad? :-). ).